Sail away to somewhere warm with a fun ship cruise to the Western Caribbean ports of Jamaica, the Cayman Islands and Cozumel, Mexico. You can relax on the beautiful white sand beaches or at the full-service spa onboard. 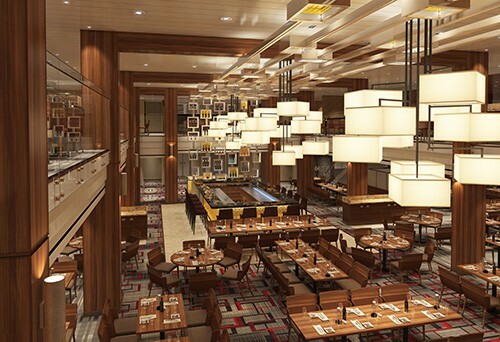 Set sail on Carnival Cruise Line’s newest and hottest Vista Class ship, Carnival Horizon. Sailing for the first time in 2018, this is the ultimate fun ship with SkyRide, SkyCourse, and WaterWorks Park. 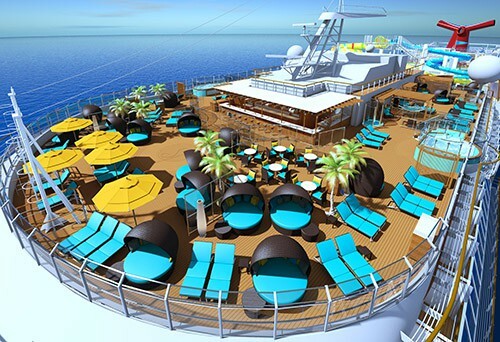 This ship features suites, staterooms, and Cloud 9 Spa cabins with room for 4,716 passengers. Book your tropical vacation today with Dunhill Travel Deals and be among the first to experience the luxury and excitement on Carnival Horizon. Near the Havana Bar and Pool, Havana suites and staterooms offer members-only pool access and a unique décor. Havana Cabana Suites include an extra-large outdoor space with hammock chairs, a large living area, private bathroom with dual sinks and a luxurious rain shower. Close to the Family Harbor Lounge, you’ll find the perfect place for you and your family. With room for up to four, you can enjoy comfortable beds and private bathroom. You’ll also get extra benefits like free kids meals at most specialty restaurants and free babysitting. If relaxation is on your mind, the Cloud 9 Spa Suites is the place for you. With exclusive décor and in-room amenities, including spa bathrobes and slippers, plus toiletries by Elemis, it’s the epitome of luxury. Guests in these rooms also enjoy priority spa reservations and other exclusives. 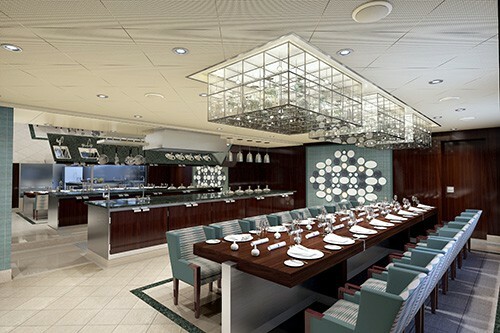 Have a taste of luxury when you stay in one of Carnival Horizon’s huge suites. Guests can enjoy an extra-large balcony, a private bathroom with whirlpool tub, and VIP access when boarding and disembarking. Close to the Family Harbor Lounge, you’ll find the perfect place for you and your family of 4. You’ll also get extra benefits like free kids meals at most specialty restaurants and a free evening of babysitting. Close to the Family Harbor Lounge, you’ll find the perfect place for you and your family of up to 4 guests. Enjoy the nautical decorations, comfortable beds, and private bathroom. You’ll also get extra benefits like free kids meals at specialty restaurants and a free babysitting. If relaxation is on your mind, the Cloud 9 Spa Balcony Stateroom is the place for you. With exclusive décor and in-room amenities, including spa bathrobes and slippers, plus toiletries by Elemis, it’s the epitome of luxury. Enjoy priority spa reservations and other exclusives. Balcony staterooms give you access to a private balcony with ocean views, private bathroom and indulgent surroundings. These well-appointed Balcony staterooms are a great place to escape when you feel like having some me time. Close to the Family Harbor Lounge, you’ll find the perfect place for you and your family. With accommodations for up to four, you can enjoy the nautical decorations, comfortable beds, and private bathroom. You’ll also get extra benefits like free kids meals at most specialty restaurants and a free evening of babysitting. If relaxation is on your mind, the Cloud 9 Spa Ocean View Stateroom is the place for you. With exclusive décor and in-room amenities, including spa bathrobes and slippers, plus toiletries by Elemis, it’s the epitome of luxury. Guests in these rooms also enjoy priority spa reservations and other exclusives. Ocean View Staterooms are larger than interior staterooms, include beautiful décor, private bathroom, and a comfortable couch so you can relax and enjoy the seascape from your large window. If relaxation is on your mind, the Cloud 9 Spa Interior Stateroom is the place for you. With exclusive décor and in-room amenities, including spa bathrobes and slippers, plus toiletries by Elemis, it’s the epitome of luxury. Guests in these rooms also enjoy priority spa reservations and other exclusives. For a more budget-friendly option, consider an interior stateroom. With a full private bathroom, complimentary 24-hour room service, your choice of bed size and layout, you'll feel at home in this affordable room. This fun ship has an abundance of entertainment options – waterslides, shopping, SportsSquare, video arcade, Serenity Retreat, and SkyRide, the industry's first open-air, pedal-powered aerial ride. If you’re traveling with kids, stop by the Family Harbour Lounge, a dedicated family space with 24-hour complimentary dining, concierge and babysitting service, movies, video games, and board games by Hasbro. Jiji Asian Kitchen (Lunch) - This modern restaurant serves made-to-order stir-fry dishes and Asian favorites like Szechuan beef. Cucina del Capitano - Antipasti, entrées, pasta and desserts — inspired by our Italian captains’ and officers’ childhoods served famiglia-style for $15 per adults and $5 for children.